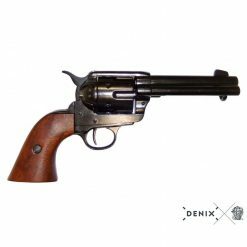 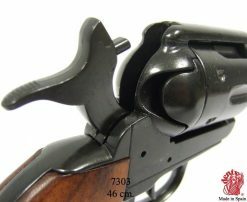 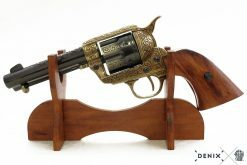 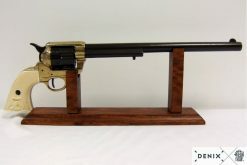 Denix produces high quality non-firing replicas, with authentic weights and mechanics! 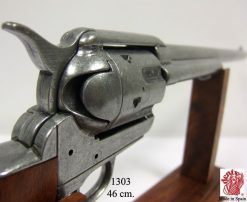 These replicas are made in Spain to the original specifications. 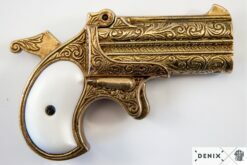 They are made of wood and metal (plastic only if the grips simulate ivory) and are the appropriate weight of the originals. 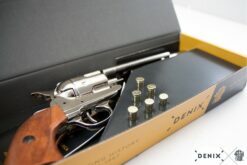 These replicas do not fire (although the barrels and triggers move), they are meant for display and general use only. 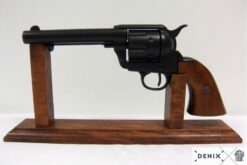 No gun licenses are required for replicas. 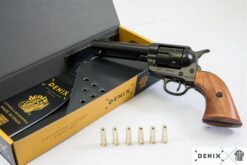 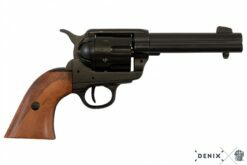 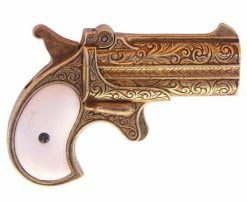 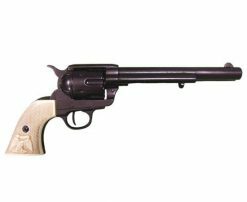 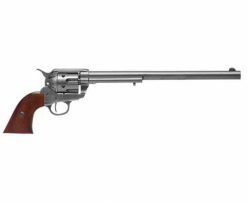 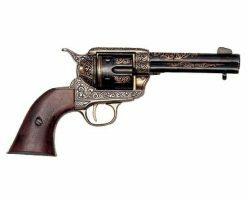 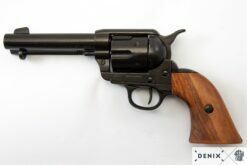 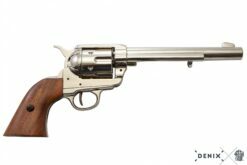 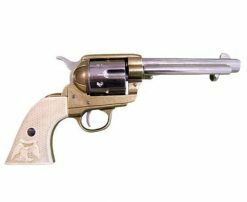 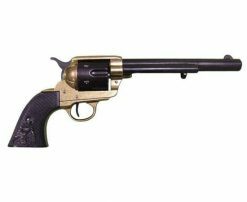 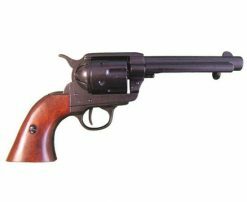 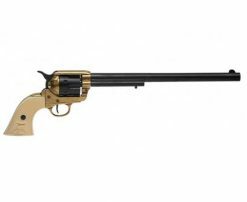 Click here for more FAQ on our revolvers. 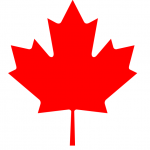 $15 Flat Rate Shipping Across Canada OR Free Shipping on orders over $150!